Binbrook is situated halfway between Lithgow and Bathurst. It has a gorgeous 3 bedroom cottage and 17 acres to enjoy all to yourself. Come and enjoy the country experience. Curl up in front of the combustion fire or take in the amazing views from the front verandah or sunroom. Roam the gardens or walk up the hill to soak in the 180degree views. Wander down to the creek. Examine the stars through the telescope or sit around the fire pit. Bring your pet with you. The house has 3 bedrooms... two queen rooms and 3 single beds in the other. There are two bathrooms and plenty of living space to accommodate 7 people. The kitchen is well equipped or choose to BBQ instead. Spend the time relaxing on the property or explore the surrounding area with its gorgeous countryside. We can't rate this property high enough. Our family (2 adults and 4 kids) have had the most amazing weekend away. The kids were outside from sunrise to sunset, playing in the paddocks, getting to know the horses, playing on the swing, walking to the creek, enjoying the outdoors! The property is just lovely, peaceful and quiet! The house is extremely comfortable, lovely kitchen with all the necessary utensils, extremely comfy beds and linen, gorgeous views from every window. Thank you Carolyn and Peter, we thoroughly enjoyed our break, the kids put up a good fight not to leave! We will be booking again, but coming for longer! We really enjoyed our weekend away here. 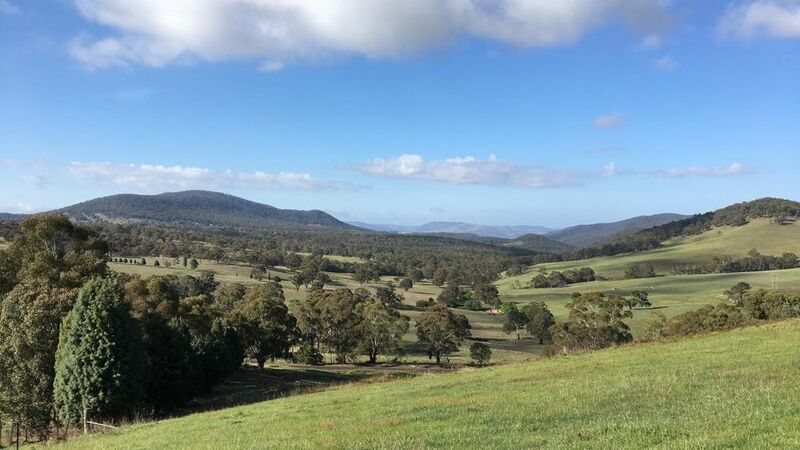 Delightful property with gorgeous views of the bush. Excellent amenities. Very quiet. The village of Tarana is in the distance and the Tarana markets are well worth a visit. Evans Crown is a short distance from Tarana and offers fantastic views of the area. Thanks for the review Ernst. So glad you enjoyed our beautiful property. Yes it is a lovely quiet place to relax but has the added benefit of also being within easy reach of many other activities and places to see. Great place to get away and unwind. Very comfortable and clean. Lovely home with beautiful views. Excellent place to unwind and enjoy the fire. Very relaxing.